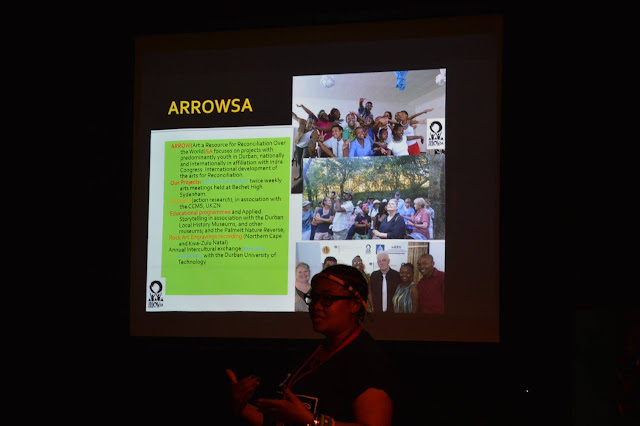 The ARROWSA members who were due to attend the congress but could not attend in July went to visit Plymouth in September 2015 on an Inter-cultural exchange programme, coordinated by Alix Harris, who is an independent art and theatre consultant, who also works for the Indra congress based in Plymouth. 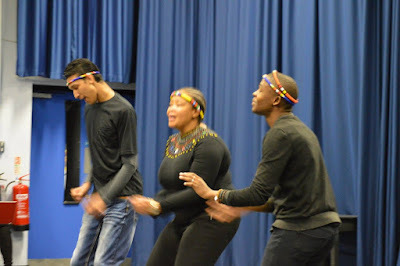 The intercultural experience was packed with activities that exposed us to how theatre culture can work for community based projects that aim to teach and education on social ills (various) while maintaining the artistic and professional work of theatre. The first three days in Plymouth were spent at the Stoke Damerel Community College, a school that caters for primary and high school levels. The Drama department welcomed us. On the first day, we performed a short play, written by all the group members (Luthando Ngema; Bhekithemba Dlamini; Darnelle Fortune and Tshimanga Tshiteya). 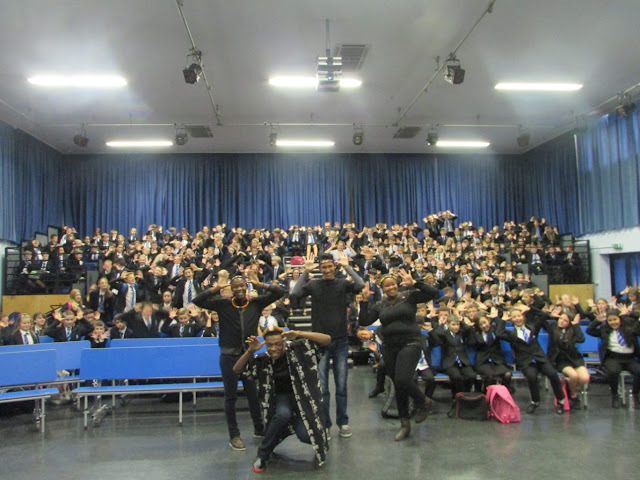 We performed for a group of humanities pupils aged between 11 and 12 years. The play was a merge of poetry; silent theatre; dance and musical expression (songs sung by all and violin played by Tshiteya). The audience was exposed to typical South African styled performance which had highlights of seriousness (dealt/ discussed issues of race which are pertinent in South African society) and fun (through the musical pieces with songs about joy of what we hold cultural importance- our mothers; our clan names). 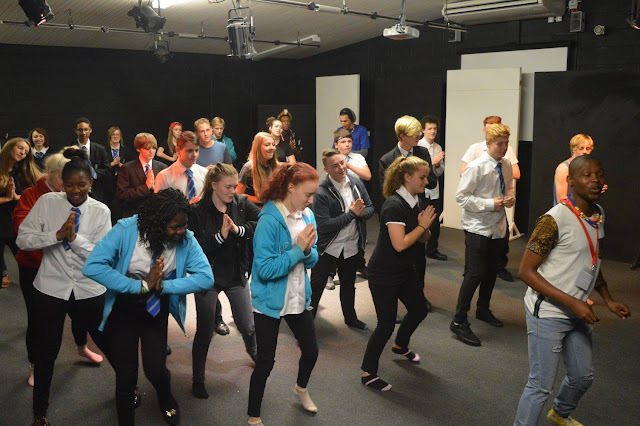 The highlight of the following day was a workshop hosted by the senior drama pupils at the school. The workshop was divided into three sessions. The first session was ARROWSA presenting a PowerPoint presentation about the different functions of ARROWSA. The group again performed some parts of the main play, just a small piece which highlights some of the work we do at ARROWSA. The general report back on our session was that, people learned that South Africa was a country that still has challenges especially with the issues of race and cultural difference. The music and dance we performed was also something that the Indra group found highly entertaining. They felt it was something new and something they would like to incorporate in their own work. The second session was the Indra group performing their silent theatre piece that they had performed at the Indra congress. For me this was a very interesting piece, as it emphasised that you do not need words to express a message. The use of body; space and facial expression was evident. The choreography of their piece also showed the commitment; dedication and discipline. 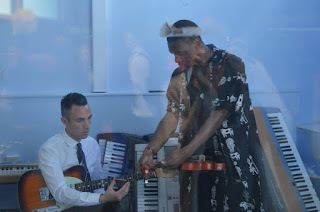 The performance is performed by just a little over 20 pupils; however the coordination was crisp and well performed. Their silence piece was dealing with the “who am I” theme; so the performance was based on their personal experiences and youth issues ranging from stress; depression; education pressure; identity; weight loss; beauty. I saw a lot of difference to what we as South Africans perceive as youth related challenges to theirs. For instance South Africa has the HIVAIDS pandemic; our youth issues are usually related to HIVAIDS issues. For example- child headed homes (from parents dying for the disease); financial constraints as most youth in South Africa are forever embedded on issues of money especially to fund their education. We also have teenage pregnancy at alarming rates. Young South African girls are still exposed so many sexual injustices, constantly fearing sexual attacks. That being said: So many similarities were shared. Depression from societal pressure is a phenomenon that all youth go through. I also took the importance of listening to others problems without judging the problem as less important just because they experience problems from different world views from mine. From the two sessions, I took the clichéd expressed “as much as we are different, we actually have more similarities than difference”. The last, third session was a workshop by Alix Harris based on the environment theme. The ARROWSA group along with the Indra Congress UK group, exchanged ideas on what the concept of the environment actually means. The evenings in Plymouth were spent visiting various organisations that linked to the Indra congress. We had the opportunity to visit the Beyond Face Sessions at Plymouth Creative School. We were invited to participate at the Barbican theatre during two work shopped auditions. One of the auditions was based on dance and the other on acting. The experience at the Barbican was an eye opener to how the arts can work to support the artist from developing that artist from entry level to professional level. The Wednesday morning was spent touring the Theatre Royal Plymouth Production and learning centre (TR2). This centre is one of kind where their work is about stage design, costumes and also a space for rehearsals for incoming productions to be performed at the Theatre Royal in Plymouth. This organisation also feeds production material to most of the United Kingdom. 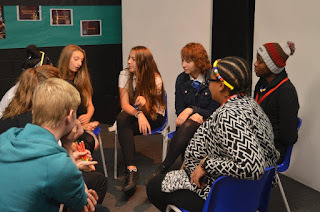 They also introduced us to their ‘Creative Learning Programme’ which is open to the public to learn on how to use theatre as a source for learning. We were invited to a yoga session with Jules. Our morning was really exciting after that session. And we are so thankful for the free yoga opportunity from Jules. We also went to tour the Plymouth University. Alix, took us to the maritime engineering faculty, we also visited the Drama department based in the new building called the “The House”. The last night in Plymouth was indeed special. We were given free tickets to attend shows at the Theatre Royal Plymouth. I took the option to see “The whipping Man”. After the performance, we were even fortunate enough to meet the crew of the production.